Semester at Sea (SAS) is a multiple country study abroad program open to qualified full-time college students at colleges and universities both domestically and internationally. The University of Virginia is the program’s academic sponsor and credit earned is transferable to a student’s home institution. SAS offers a wide variety of coursework, along with relevant field studies that provide meaningful engagement within the global community. Lauren Judge, Director of Public Affairs at SAS, spoke in-depth about everything from the faculty who serve on board to application suggestions for prospective students. Talk about the history of Semester at Sea. On October 22, 1963, Semester at Sea, then known as the University of the Seven Seas, set sail from New York Harbor on its ﬁrst voyage around the world. In its first fifty years of shipboard education, Semester at Sea has sailed on five primary floating campuses, collaborated with four academic sponsors, visited over 60 countries, and welcomed 60,000 participants from 1,700 colleges and universities worldwide. The Fall 2015 voyage will sail aboard a new ship, the World Odyssey with current academic sponsor, the University of Virginia. As of June 2016, the program will begin a new academic partnership with Colorado State University. How can students at other colleges and universities participate in SAS? 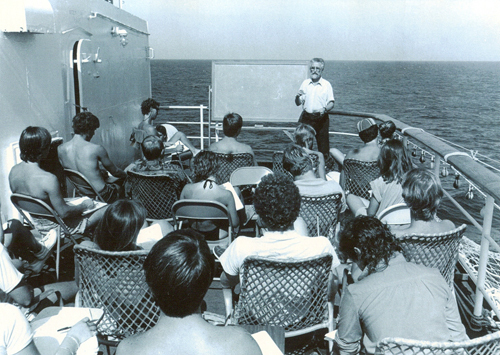 Students from 250-300 colleges in the United States and the world participate on Semester at Sea each term. Credit earned is transferable to a student’s home institution and accredited by the University of Virginia. What number of students and faculty members are aboard each ship? We welcome approximately 600 students and approximately 30 faculty members on every voyage. Describe the fields of study offered. SAS offers up to 75 courses across several disciplines of study. Course syllabi reflect the expertise of the faculty member and the itinerary. For example, on voyages that travel to a specific region, students are likely to find that the “World Literature” course focuses mostly on literature from the nations visited on the itinerary, rather than the entire world. Who are the SAS faculty? At the core of the Semester at Sea academic experience is a team of educators who are passionate about global education. Faculty members are selected for their global scholarship and teaching ability, and come from colleges and universities worldwide. A completely new faculty is appointed for each voyage by a University of Virginia dean. 100 percent of Semester at Sea faculty members hold doctorates or other terminal degrees and 100 percent have international experience and expertise in one or more of the regions visited on a given voyage. Semester at Sea faculty members have included internationally recognized experts on social movements and media, endangered species, and world cinema; as well as a Pulitzer Prize winners and Carnegie Foundation Professors of the Year. How do students choose their destination? 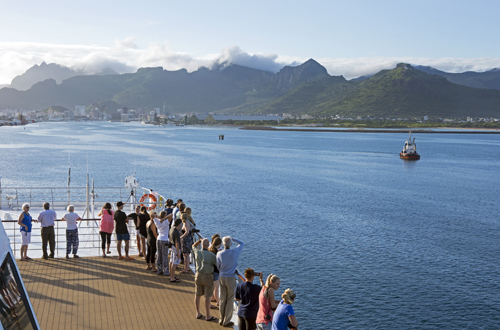 Semester at Sea offers two voyages per year, a spring and fall voyage. The spring voyage typically explores Asia, Africa, and a few European ports, while the fall voyage has more of a European, African, and South and Central American focus. Is the majority of student time spent on the ship? About 50 percent of students’ time is spent in country and 50 percent is spent at sea. Describe the In-Country Field Programs. While in country, students may be participating in a field lab that corresponds to their courses, joining an SAS-arranged field trip, or traveling independently and making their own in-country plans. The field programs bring to life the historic, political, socioeconomic, and cultural aspects of each host country and provide the opportunity for meaningful engagement with local residents. 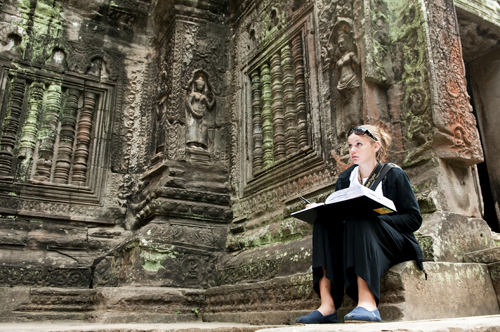 Many of the trips provide unique experiences that would be difficult for travelers to arrange on their own and include service projects, overnight stays with families, university student exchanges, overnight trips to major historic and cultural attractions, as well as visits to local businesses, government facilities, schools, orphanages, and NGOs. What are the student benefits of traveling with SAS? 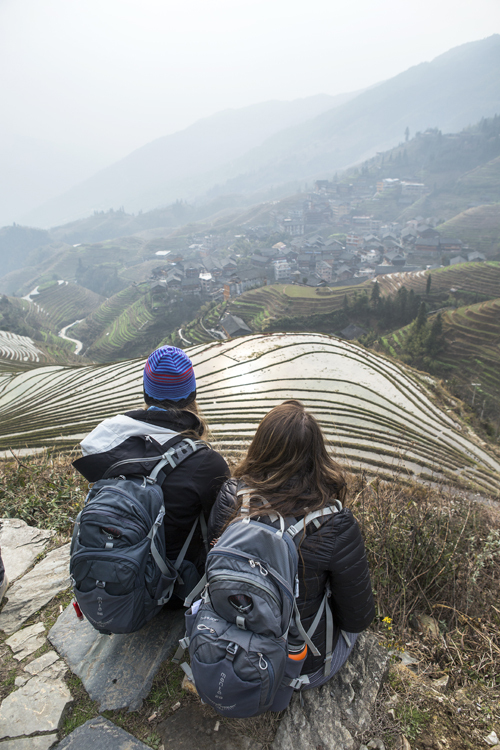 Our unique program integrates multiple country study, interdisciplinary coursework, and hands-on field experiences for meaningful engagement in the global community— it’s a one of a kind opportunity for today’s students. It is our hope that students become global citizens by the end of their journey—mindful of cultural influences, engaged in learning about and accepting of all people and places, win empathy toward others, and a global understanding of how we are all connected. 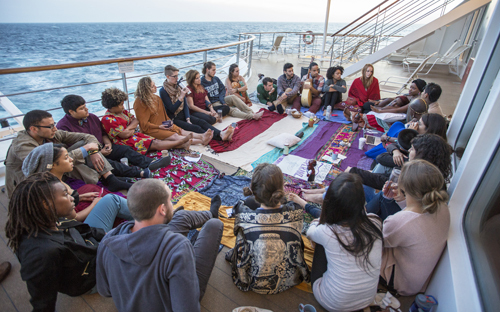 Most Semester at Sea students disembark the ship feeling as though they have challenged their perspectives and pushed themselves out of their comfort zones. They return home changed by what they experienced and transformed from the voyage in a way that stays with them for the rest of their lives. Any application suggestions you can offer to prospective students? Semester at Sea students are selected for their desire to become educated and engaged global citizens, and must be enrolled full-time in a degree-granting program at an accredited college/university (domestic or international). Students also must have completed at least one full term at the post-secondary level, demonstrate at least a 2.75 cumulative GPA, and be in good academic standing, presenting a completed disciplinary clearance form from their school’s judicial affairs office. We recommend that students apply early and meet with their home institution’s study abroad office as each school’s requirements for studying abroad can differ, and their school can help them map out a way to fit Semester at Sea into their graduation plan, and make sure their course credits transfer.